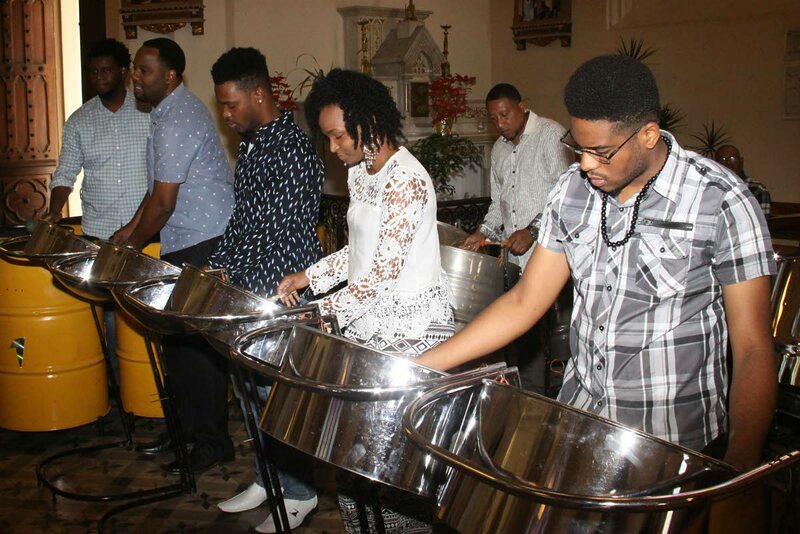 THE sweet sounds of pan rang through the Holy Rosary Roman Catholic Church yesterday during a Trinidad All Stars Steel Orchestra’s 25th annual thanksgiving service. The band’s junior orchestra played Amazing Grace during the collection, then during the communion period, the seniors took up positions behind their pans to play Jim Reeves’ Precious Lord, after which frontline pannist Clive Telemaque did a soothing rendition of Lord I Lift Your Name On High (Rick Founds). And after the reciting of The Pannist Prayer the All Stars played David Rudder’s High Mas for the recessional. After the special mass, Daryl Joseph, Public Relations Officer of Massy All Stars told Newsday: “This is the 25th thanksgiving service that the orchestra has been having at the church. "The organisation has a very strong belief in God and a very strong family focus and we thought it important for us to always give thanks for the gifts and talent that we have because we didn’t create any of it. Whatever is here is what has been given to us. "So we started this very quietly and we want to keep it that way. It is not something we do for public or something we do for show. We don’t mind if people know and they come but it’s really about us as an organisation, collectively giving thanks to God for all the blessings we have received. The blessings, he said, have been many and they continue to be many so this is just part of what we do every year. Members of the band’s executive, junior and senior bands and their families were present at the service. Reply to "All Stars’ host thanksgiving"